Benedict Cumberbatch attends the press conference for 'Avengers: Infinity War' Seoul premiere on April 12, 2018 in Seoul, South Korea. 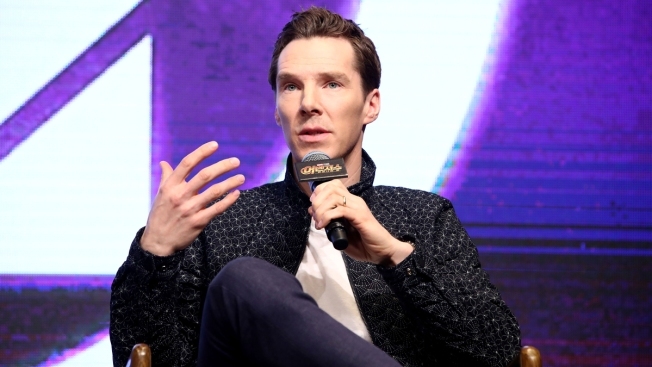 Cumberbatch will come to NYC to perform 'Letters Live." Benedict Cumberbatch is back to reading passionate emotional letters onstage, this time in New York City. The British actor was one of many celebs who have taken part over the years in "Letters Live," which originated from London. Stars are given letters with highly emotional material to read, and they don't know what they're going to be reading until moments before they hit the stage. The letters have come from the likes of Gandhi, Elvis Presley, James Baldwin and other luminaries. Cumberbatch is the first confirmed performer for the New York debut of the event, to be held May 18-19 at Town Hall. Proceeds from the event will go to two charities.